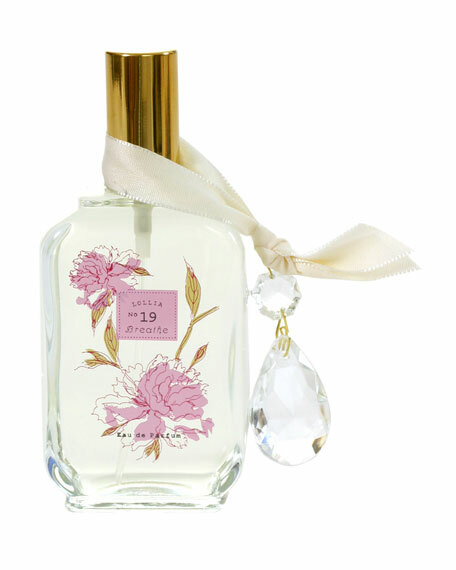 Peony and white lily with fresh top notes of grapefruit and orange and leafy green notes. Silk screened glass with delicate floating peony design. Tied with a satin ribbon and hanging cut glass crystal. For in-store inquiries, use sku #239720.